Kayaking is a sport for mentally tough people, able to overcome difficult obstacles in rapid waters. 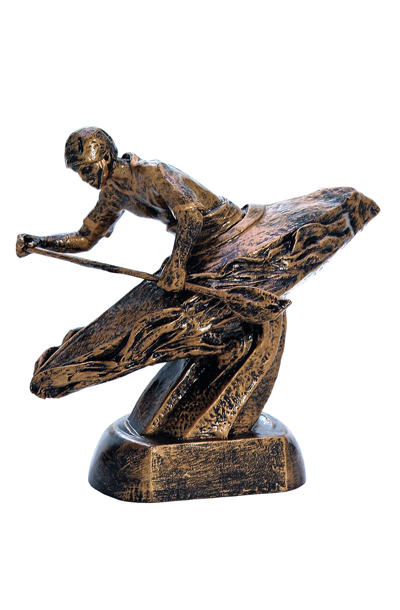 Our resin statuette perfectly reflects the kayaker sailing down the river. His silhouette in motion is dynamic and interesting. It perfectly fits in the catalog of prizes and awards for similar sports.